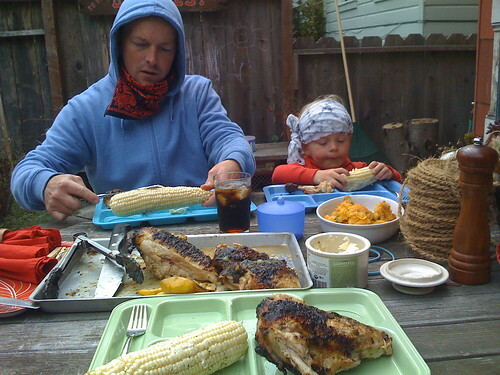 pseudobunny & co.: BBQ and fud outside. Yum., originally uploaded by pseudobunny. Those correctional facility flatware come in handy.